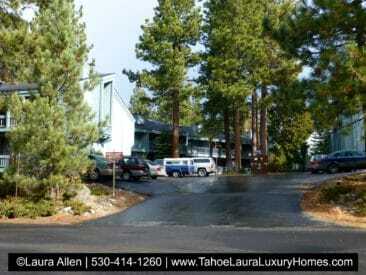 The Dollar Hill I Condominium development is a small complex in Tahoe City, California. 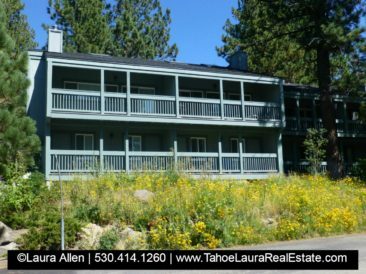 The Dollar Hill I condo development is located on the North Shore of Lake Tahoe and is a short walk or car-ride to public beaches in Lake Forest and Skylandia Park. 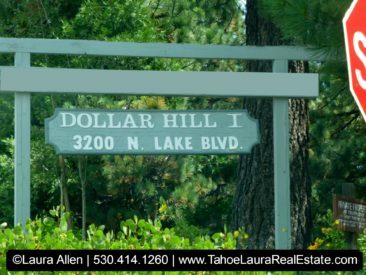 The Dollar Hill I complex is approximately three (3) miles east from the downtown area of Tahoe City situated between the Dollar Hill and Panorama subdivisions. Condo owners in this development enjoy easy access to restaurants, shops, golf courses, or any of the local ski resorts. There are only twenty-one (21) units in the Dollar Hill I complex and most of the units were built in the 1970’s. One of the features that owners enjoy are larger townhome style units with only shared walls. Units are two levels and you will only find three (3), or four (4) bedroom floor plans with each unit having their own designated parking space. If you already own a condo in the Dollar Hill I development and want to know what your condo is worth, call me 530.414.1260 call me for a confidential consultation.